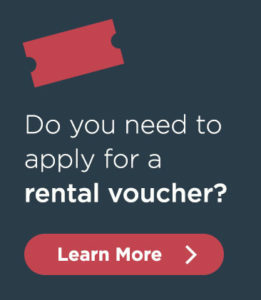 The Housing Choice Voucher Program, commonly known as Section 8, is the federal government’s major program for assisting very low-income families, elders, and people with disabilities to afford decent, safe, and sanitary housing in the private market. Since housing assistance is provided on behalf of the family or individual, participants are able to find their own housing, including single-family homes, townhouses, and apartments. Participants are free to choose any housing that meets the requirements of the program and is not limited to units located in subsidized housing projects. Rental units must meet minimum standards of health and safety, as determined by public housing agencies (PHAs). Under a contract with the Massachusetts Department of Housing and Community Development, Metro Housing|Boston is the largest regional provider of Housing Choice Vouchers in the state. With a Section 8 voucher, individuals and families with low incomes can rent their next home. The tenant pays 30 percent of his or her income toward rent and utilities; the Section 8 voucher covers the rest of the housing costs. The subsidy is paid directly to the landlord. The demand for Section 8 and other subsidy programs is much larger than the stock of available vouchers and project-based units resulting in very long waiting lists. Under project-based housing programs, the rental assistance is tied to specific apartments. It is not a mobile subsidy that can be taken with you from place to place. Some housing authorities have chosen to close their waiting lists due to the high demand. The Section 8 waiting list is maintained by the Massachusetts Department of Housing and Community Development. All applications will be added to the waiting list according to the date and time of receipt. Metro Housing|Boston is currently selecting applicants from April 2007. All of the regional nonprofit housing organizations in Massachusetts work together to administer the state-wide Section 8 program. You may apply to any one of these regional nonprofit agencies that administer the statewide Section 8 program (including Metro Housing|Boston) and your name will be placed on a statewide Section 8 waiting list maintained by the Massachusetts Department of Housing and Community Development. This means that if you have applied with one regional organization, you do not need to apply with another regional organization. For regional housing agencies, including Metro Housing|Boston. A number of local housing authorities participate in a Centralized Section 8 Waiting List, a centralized waiting list in which 91 local housing authorities participate. You need only to apply to one of these authorities to be considered by all 91 authorities. For housing authorities that do not participate in the Centralized Waiting List, you will need to apply directly with that housing authority. Project-based rental assistance means rental assistance comes with the apartment. You will pay 30 percent of your income toward rent and the federal or state government (depending on the program that subsidizes the unit), pays the difference between your payment and the actual rent charged. Please see the Local Housing Authority Directory to find a housing authority in Massachusetts that may offer other waiting lists.